If the delay really is about building a business case, it begs the question of said business case… Once, a few dozen sales were enough, then a few hundreds. Nowadays, are we already past one thousand sales needed prior to formal launch? Business case doesn't just look at the demand for the plane itself, but whether more efficient manufacturing methods or supply chain solutions could drive costs down and this is for the long term, so that has to be done right. Does anyone have any idea where they would build the 797? I imagine not at Renton but maybe at Everett on the 767 production line? Could they use part of the 777x lrip line? What about the 747 line? It could be done by 2025. I suspect Boeing could launch 777x freighter soon. Wouldn't a 779 freighter get close to 747 package volume negating the 748 freighter advantage? Early production on the line that has been used variously for 787 surge and 777X early production. Lots of land for expansion in North Charleston. Brazil? Combination of the two? With production costs being a huge factor, a non-union shop would be in the plus column. A greater reliance on automation might level out some of the labor cost differences. All that said, if you want to de-risk the start-up, then the smart money is on Everett. DaHjaj jaj QaQ Daghajjaj !!!! If we calculate with 1 year of flight testing, the engine needs to be ready by 2024, which means the engine test must start 2023, which leaves them about 3,5 years to design the engine, set up the supply chain and the manufacturing. Considering the teething problems of modern engines, it is a challenging job and very risky if you agree on guarantees and compensation payments for engine based delays. That's why a "LEAP and a half" approach is so appealing. The supply chain is already set up, and CFMI and Boeing are already co-dependent. There's a lot more risk in a geared approach. The supply chain is probably not set up though. While the engines might share technology, they won´t share many parts and with the rumours of Boeing planing to increase 737MAX production the existing supply chain will already by pushed to the limit. 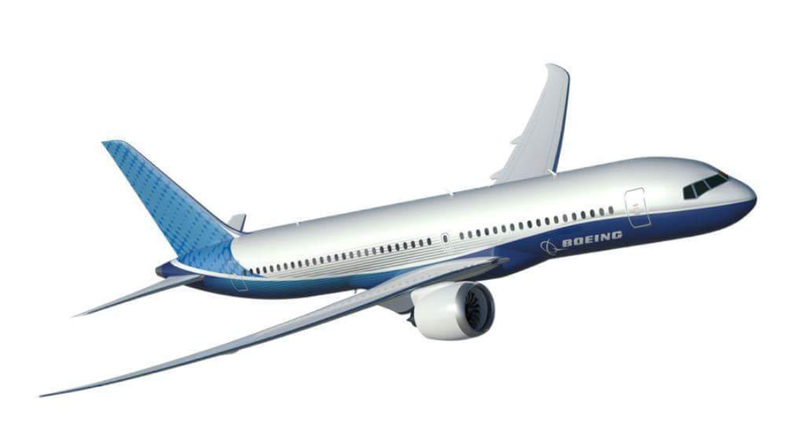 At the same time CFM would need to ready the production for the bigger LEAP for the 797. Doable but much easier if they would be working on the engine already today, which I am certain they are, as there is no real alternative to GE/CFM. RR has nothing that could be ready fast enough and the GTF is simply unreliable and the track record of PW is abysmal. That would be a lot of fun to watch. But AFAIK Airbus has never been a good sport to Boeing. Contrast that to Boeing who has given well wishes when Airbus finishes a jet. They gave a nice message of congratulations when the A380 entered service. Yes, by definition the parts aren't being produced already by anyone because no one is producing an engine in the desired thrust class. By setting up the supply chain I was thinking more in terms of having business relations with vendors with the right processes and knowledge to produce parts in the required volume with the required quality. Once such a supply chain exists, it should largely be an exercise in applying existing processes on larger parts, with the obvious need to purchase different equipment in many cases and some engineering challenges as well, but it'd largely be the same people working with the same kinds of parts with the same or similar materials and processes. I say this with some confidence because I grew up in Connecticut USA where my uncle ran a machine shop whose main customer was Pratt and Whitney, and their parts were on pretty much every Pratt engine from the 1950s onward. I don't think RR has such a low risk path forward. They haven't made the transition from producing metallic fans to producing composite fans in large numbers. They've designed a gear with an industry leading power level that works in test stands, but they haven't ramped up a supply chain that has shown they can make them in the required volume with the required quality. There's other things that may or may not come along with UltraFan such as variable pitch that haven't been tried at these thrust levels. Their recent "oops" with turbine blade coatings puts their quality assurance regime in a poor light. There's a lot of up side to UltraFan and I'd love to see Boeing adopt it, but you have to admit it's a riskier path than the CFM "LEAP and a half" approach. Lots of hiring going on in regards to engineering. A peak at Boeing's career site would be... enlightening.. if one were interested in certain things. Supply chain will be a nightmare. Industry is already having issues procuring what is needed. Everyone is trying to find material substitutions where they can to alleviate delays, and the tariffs aren't making it any easier. Increasing rates on the narrow bodies, additional models being added and growth overseas by new start ups is going to strain the supply chain even further. I'm sorry, for some reason I thought KC 46 production wasn't in Everett. Maybe make a small production line somewhere, like Charleston or Brazil, until the KC 46/767 line wraps up and then move to Everett and do some NSA work in that line? Does anyone know if boeing counts the 767 and KC 46 as the same thing, meaning when i look at 767 production rates, does it include KC 46 production? Expect Boeing to keep their considerations on this topic private as long as practically possible. Uncertainty about work location decisions or even preferences is a demonstrated tactic for gaining tax incentives, union contract concessions, or other benefits to Boeing. That said, it's been demonstrated that there are major difficulties trying to start up new lines in areas without an existing skilled workforce. I would assert Everett and Charleston should be the top candidates, and between the two, it's existing very large workforce availability and proximity to engineering vs. labor cost. Hypothetically, they could leverage some of the assets in the Composite Wing Center, too, at least for a 797 LRIP period. Brazil could also be suggested as an option, but the partnership is still in very early stages, and working across a different set of laws and company cultures would also be a significant risk, in addition to likely needing workforce growth of a magnitude similar to Charleston. I think the opportunity for Embraer from the partnership is far more likely to be as a supplier, not the final assembler. There should be some space in the Everett factory after 777X LRIP line is no longer needed, and there are still some legacy 777 components that don't share production areas with the 777X like the wings. Those may be available soon depending on 777 Freighter interest and timeline for a 777X freighter. And, of course, there could be some 747 space (I personally hope not, but have to be realistic). Additionally, Boeing recently signed a lease option with Paine Field for some undeveloped land on the west side. They could exercise that option to build additional factory space. I'll try and make my earlier post a little more direct to help. Look at where the companies are hiring. I haven't checked first tier suppliers, but I have periodically looked at Boeing's listings for hints. I see a higher rate of listings relative to current headcount in South Carolina vs. Washington, but not enough that I'm at all inclined to draw conclusions from it. I say this especially since the program is presumably not yet even in the detail design phase. Staffing up production workers this early seems highly unlikely to me. Other Locations: Saint Louis;Missouri;United States~North Charleston;South Carolina;United States~"
The example is one of quite a few IT related job listings that they apparently can staff from a couple different locations. Indeed. I also receive recruiter calls for various contract engineering agencies. All roads seem to point towards SC at this point. That isn't to say they won't do some engineering in Everett/Renton or even possibly STL (thinking wing in that regard). To the contrary, I'm sure they are doing work there. Still, I am quite certain the bulk (of engineering) will be done in SC, with FA there as well. I think hiring now points to 787 ramp-up in Charleston, not 797 final assembly. I think it's too early to know where the 797 will end up, but I'm sure Boeing would love to consolidate the 787 in Charleston once that's possible (which would also allow for more 787-10s in the mix). CHS is hiring to ramp up to 14 787 per month at this time. Line hiring for 5 years out wouldn't be happening. CFRP barrels produced in CHS for FAL's in CHS and Everett. Initial certification and low rate production in Everett. Low rate production for 6 months after certification, CHS full rate line starts 6 months after certification, rate 8 by 1 year after cert. Eventually 2 797 lines for a total rate of 16/month. By 2025 the 787 rate will drop to about rate 8/mo. That puts out 6 years at 150+/year over 900 frames. It is hard to imagine 787 being at rate 14 for years and years. You're discussing one road sign (hiring). Others, especially existing skilled workforce, point elsewhere. And the hiring road doesn't actually point very convincingly to Charleston. Note that I said relative to current headcounts. South Carolina has a little over 1/10th the Boeing workforce as Washington does, but Washington has over 5 times as many job listings posted. Washington has thousands of engineers working on 777X that could gradually transition to NMA to support the detailed design ramp up if that program is launched. If you think Charleston is going to get not only final assembly, but also the bulk of the engineering, they're going to need either an unprecedented acceptance rate of relocation assignments or a lot more than the 6 engineering job postings I currently see for South Carolina. I doubt the 797 will ever have the demand to go 14/month for long enough to make it worth it. I suspect 10/month is more likely, and I doubt that justifies two production sites. My forecast: Low-rate production on the surge line. Then 797 production ramps up in Everett after 787 production there winds down; once the 787 rate drops it will be built only in Charleston. I think that Charleston is a good choice but how much does Boeing need to build, facility wise, for the 797 to be built there? Personal opinion: Boeing is fairly big on diversifying risk; I believe that the NMA (if built) will require 2 assembly lines unless the new manufacturing techniques substantially speed up assembly. I would anticipate development and the 1st line in Washington State; and the 2nd line in Charleston for risk diversification. Note that if it's a smash hit... it may require 3 lines for a while. The 3rd line may only be there for about 5 years... and would likely be in Washington and use facilities currently being used for other things that would be freed up by then. The 737 has four lines all located in Renton. Multiple production lines can be in the same place. I expect all 787 production to move to Charleston by 2030. All 797 production will be at Everett in the space currently occupied by the 787. The 797 will have much higher automation than the 787 so the high labour prices at Everett should not be an issue. Charleston will continue to ramp up production and Everett will gradually start shutting down 787 production around 2020 to get ready for the 797 assembly lines. Agree, and as the 797 will be the next step in manufacturing, the labour costs will be small and automation will be high. It will be a revolution in the production of airliners. Of course it does... It provides both labor and facility diversification. Please go back and read about the last Boeing worker strike in Washington; and the fallout from that. With Charleston, a strike in Washington keeps aircraft rolling out the door. Should there be a catastrophic event in Washington (Earthquake, major fire, etc) having production in Charleston keeps aircraft rolling out the door a lot easier (might be an issue if the Wing plant is damaged for the 797). In my opinion; Boeing management will split production if there needs to be more than 1 assembly line. Putting all you eggs in one basket does not always work well... even if it allows cheaper basket cost. I forsee that the vast majority of the labor cost will be on parts and sub assemblies. The actual final assembly line will resemble the current lines. Boeing will not try to fully automate these lines as that reduces (or eliminates) flexibility to change things.... They may automate certain join functions... But, I think that is about it. Keep in mind that Boeing has the 787 assembly down the range of 3 workdays at the final assembly line. I don't think that the NMA will be much different. Would it make sense for the engine manufacturers who already have a 50K engine in their line up to just upgrade it rather design a new one? Take the Trent 500 for example. RR could give it a composite blade fan, a new nacelle and improve the core with technology from newer engines. This seems like a very low-risk option. I am highly skeptical there will be a business case for a brand new engine for the 797, I am curious to know if this could be in fact a low-cost option for engine manufacturers. I am speculating those more versed on the topic will have a better idea. Would it make sense for the engine manufacturers who already have a 50K engine in their line up to just upgrade it rather design a new one? Take the Trent 500 for example. RR could give it a composite blade fan, a new nacelle and improve the core with technology from newer engines. This seems like a very low-risk option. The Trent 500 could not be modified to even come close to the performance of a clean sheet and would even be worse than taking the trent 1000 TEN and putting a smaller fan on it. The bypass ratio of the Trent 500 is only 7.6:1 putting new fan blades would not change that. Putting in a smaller core to increase the bypass ratio would be a brand new engine. The Trent 1000TEN core is actually the smaller the lower powered Trent 500. So putting the same fan onnboth cores the Trent1000 TEN would win hands down. Though a fully scaled down Trent 1000TEN to approximately 75% would be by far the best option for Rolls. I am highly skeptical there will be a business case for a brand new engine for the 797, I am curious to know if this could be in fact a low-cost option for engine manufacturers. I am speculating those more versed on the topic will have a better idea. The 797 will easily sell 1000 aircraft so that can justify a clean sheet engine. My personal favourite engine idea is a joint engine project between GE and Pratt. Take a completely standard LEAP core from the 1B as the low pressure spool rotates 20% faster than the 1A and 1C and simply fit Pratts current gearbox on front with a larger 90" fan on front. This would put bypass ratios up towards 14:1. Partial production of the 797 in Brazil would be an interesting endeavor by Boeing. I don’t think it would happen, but you never know. Is this still the design Boeing could go with for the 797? Or is this just a mockup? Either way, I'm hoping when the first 797 rolls out of the factory, it looks something like this. Boeing should launch the 797 within 24 hours of Airbus ending the A380 line. It's what Leahy would do. Seems like a pair off derated RR Super Ultra Fan Blowers off the back, BAC 311 style might make for the quickest of turn arounds; especially if a mid-cabin boarding door was put in place too. Easier engine diameter growth potential... than an ever increasing and lengthening landing gear with wing mounted blowers as engine or stretch designs develop. I remember there was a lot of talk how much lighter and equally efficient the wide Fokker F100 was compared the Narrow E190 wing mounted engines. Perhaps the same could be true here. Last edited by KlimaBXsst on Thu Feb 07, 2019 12:19 am, edited 1 time in total. Aesthetically the A 340 got it right! Didn't GE already buy all the IP / supplier of PW's gear technology? I'd love Boeing to launch 797 with an exclusive GE engine, until 2030 at least, a mixture of LEAP with CMCs and the GTF tech they bought for 45-55k thrust. They did. I'm sure Pratt would have patent protection so they would licence the technology to GE. Strategically speaking if Boeing wanted one engine supplier it would be wise for GE to team up with Pratt to get the engine contract. Even if Pratt was only supplying the gearbox licence on very good terms it would remove one horse from the race. By gearing down the front fan you require less shaft horsepower to produce a certain level of thrust from the fan. What this means is the current LEAP core would have most likely have enough shaft horsepower to produce 50,000lb of thrust providing it was geared. This is why I think a geared LEAP is a realistic possibility. Apparently Pratts gearbox already has headroom for the required power level. If they take this approach, with the core already in existence and gearbox too at 15:1 Bypass it should be quite efficient and totally doable by 2025. 1. The safe option: CFM (GE & Safran). Also the launch option. 2. The bold option: GE+PW (LEAP+CMC+GTF). Available 2 years after launch, a derivative of the "safe" option. GE is lead project manager in both cases. Boeing doesn't have to worry about getting burned again by RR. Losing the RFP causes even more downward pressure on RR stock, perhaps coinciding with more bad BREXIT news. If RR gets a cold, then Airbus, tied at their hip, hopefully at least catches a cough. A win for Boeing. I seriously doubt PW has any desire to share their GTF knowledge with GE. RR is not seriously in the running imho. It seems very confusing on what Boeing wants with its 797. All the videoes and pictures I have seen on this thing it appears that it looks just like a 767-200. Dont you think Boeing could have saved billions of dollars on this new aircraft and updated the 767-2 with a new wing, new 787 like engines and a 787 cockpit? I mean for Christ sak they have been doing this with the 737 for 30 years!! That thing has been updated a jillion times and its worked pretty well. The 797 looks like the 767, It will NOT operate like the 767 however, The 797 will be ALL digital from Nose to tail, ALL fly by wire or fly by Light. With the advent of the 787? No telling how advanced the airplane will be. With all digital? Many things will be different, No more huge Hydraulic reservoirs in the wheel wells. Each flight control might have it's own Hydraulic power source, all operated electrically. the airplane will be lighter, More efficient, easier to troubleshoot and maintain with possibly a smaller overall parts count due to the electrical aspect. No more rigging buss and follow-up cables. every flight control might have a digital feedback to the Flight control computers which might report any unit that's not performing in spec. Heck! No telling what they might do to the Engines.. So, unless thinking has changed a lot in less than a year, I think we can rule out GE bypassing CFM and partnering with PW. The same article rules out the use of a geared turbofan. Personally, I think PW is overcommitted. In addition to the huge demand they have on A32x, A220, MRJ, etc with the Pure Power engines, they also provide all the F-35 engines and that program is right in the middle of a massive ramp up too. CFM seems to make the most sense as a low-risk option. I'd love to see RR make the cut as well, but I'm pessimistic. Doesn't work that way....a different core must go with a gearbox. The different RPM's of the low-spool/gearbox and high-spool would not match the current LEAP core. Close integration of the fan, low-compressor flow and and high-pressure compressor, among other things, would have to be redesigned also. As Pratt found out with its GTF...the gearbox worked out great -- but the consequences of the gearbox and high shaft RPM contributed to other problems with the bearings, rotor bowing, oil seals, etc. If GE/CFM wants to do a gearbox -- a whole new engine is required. That would take much more than five years. RR had the succesfull IAE V2500 alliance with Pratt. But I guess RR wanted to do their own offerings and PW felt they didn't really need RR anymore for their GTF families. I wouldn't be amazed if both would feel sorry for that decision now. RR missed the boat on new NB programs, PW is maybe over committed and could make use of the development, production and aftermarket capability RR has. I'm no expert, but it's hard to characterize the GTF's issues based on what I've read in Tech Ops. On GTF the N2 shaft rotation speed is not ground breaking, it is similar to what was on the IAE V2500 series. The core as in the "N2 spool" does not run faster. The LP turbine/power extraction for the fan runs faster. ( you can find the N1 N2 values in the EASA cert docs for both engines. N2.fan is slightly lower on the GTF while N2.LP is 3 times higher. And imho it is all in the gearbox as everything else gained hinges on it. The N1 spool rotates 3x faster, which is the whole idea of the GTF, to get the low power spool rotating at a faster optimal speed whilst letting the fan spin at its slower optimal speed. Therefore the main issue for bearings was N1 was spinning faster than before, but one would have hoped that would not have been much of a challenge, right? It seems the PW bearing issue was an optimization (the "flying" bearing) introduced late in the design cycle with insufficient testing/maturing time. It seems that was a bad idea that would have led to bad consequences on any other engine program. Pratt itself stated the shaft bowing issue also happened on V2500; it's a mystery why it wasn't anticipated and/or detected earlier on the GTF. All you have to do is look at the GTF and you see fewer stages on the LPC because it spins at a higher rate. Fewer stages mean redistribution of loads. Higher rotational rates means different airfoils. This means you need a different engine core. The gear means you need a new case, thus a new engine. Such a thing is within CFM's capabilities, but the time to execute such a program cannot be avoided. Last edited by Revelation on Thu Feb 07, 2019 1:37 pm, edited 1 time in total. Doesn't work that way....a different core must go with a gearbox. The different RPM's of the low-spool/gearbox and high-spool would not match the current LEAP core. Take a completely standard LEAP core from the 1B as the low pressure spool rotates 20% faster than the 1A and 1C and simply fit Pratts current gearbox on front with a larger 90" fan on front. This would put bypass ratios up towards 14:1. The 1B core is nearly perfect for the GTF with a 90" fan. A genetaly rule of thumb core thrust and shaft power to drive the fan increases as the core matures. This comes from RPM and temperature increases. The LEAP 1B's low spool travels at roughly half the speed of the Pratt GTF low spool. All GE has to do is increase the pitch of the low pressure turbine and you effectively increase RPM, supercharge the core a bit for a higher OPR. Basically this would be a big PIP and GE might need some more CMC's added in tge hot section. The bigger the fan the slower it must spin for ultimate subsonic efficiency. The GE90 fan spins at only 2,300rpm, nearly half of the LEAP fan speed. The LEAP core could come up to 6000rpm low pressure spool and with the 3:1 ratio gearbox have a 2000rpm fan speed. That might be quite slow but it would allow for a very big fan even up to 100inch. Yes, but Pratt did not use or even start with the V2500 core for the GTF...I'm sure for good reasons. It is quite simple, for routes over 5,000 miles use the 787 or the 330. At the time of the 763ER there was it and the 330 to do those ranges, the 777W didn't exist at that point. Now the entire existing WB fleet can do those routes, but carry the weight of the heavy wing etc to obtain that range. The NB's are doing well as they are operating at full design, not carrying 20T of extra stuff that does not provide a benefit. A good analogy is the electric car, it works great to 250 miles but the battery would be quite heavy and expensive to get to 350 miles range. The average route for the 787 is under 4,000 nm, the 797 can cover the half of the routes currently being flown. There is a huge amount of low hanging fruit that is withing 25% higher capabilities of the current NB's. This would put bypass ratios up towards 14:1. IMU for a well matched "efficient" engine OPR is linked to BPR. i.e. increasing BPR requires raising OPR.